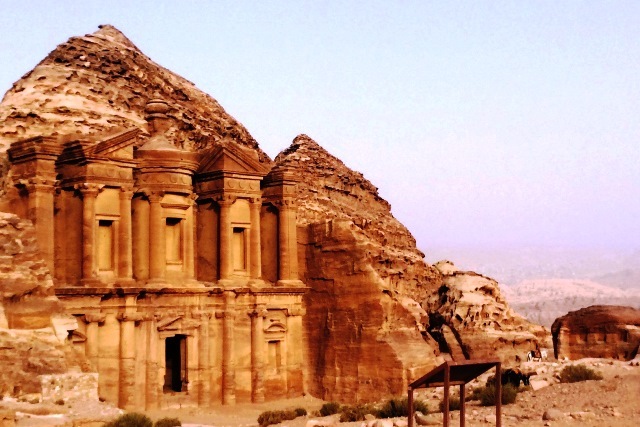 Sunset at Petra is a mystical time. The imposing buildings blush pink in the fading light as the seering heat fades and the day gradually cools down. Earlier on, the rainbow colours of the striated stone glow in the midday sun and the disant mountains shimmer in a heat haze. 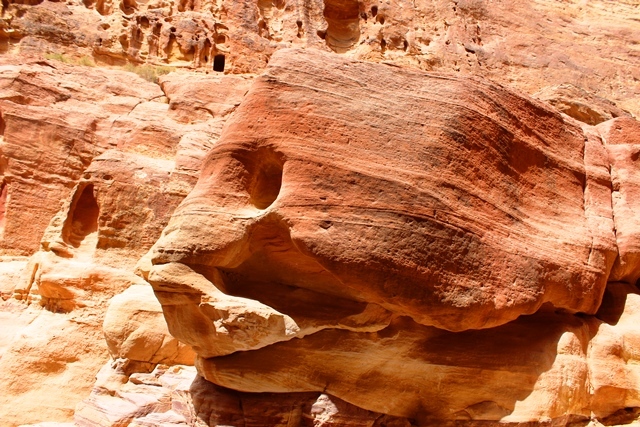 The wind that whistles through the Siq, narrow entrance to Petra, one of the top UNESCO World Heritage sites, shapes the walls and rocks into sinuous and weird shapes. One of the largest bears a remarkable resemblance to a fish. 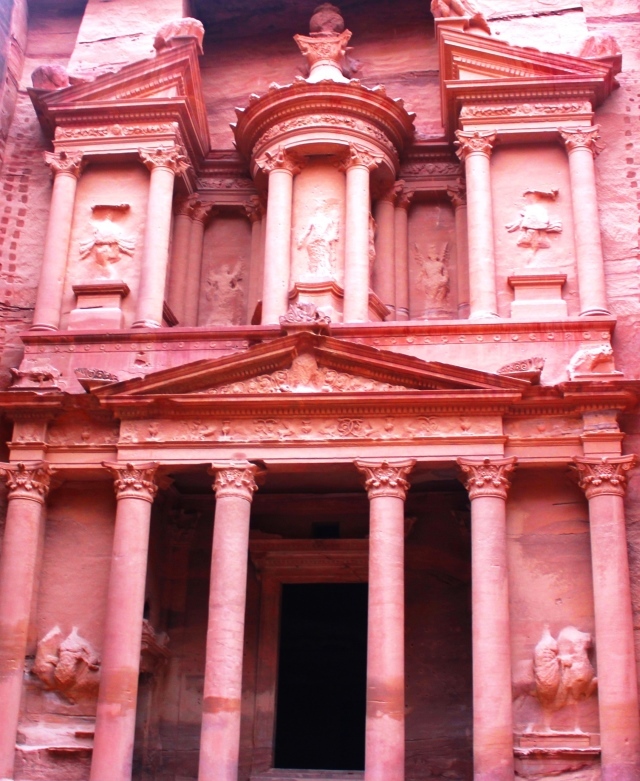 I spent a fascinating day exploring the ancient city of Petra and the end of the day was my favourite time. 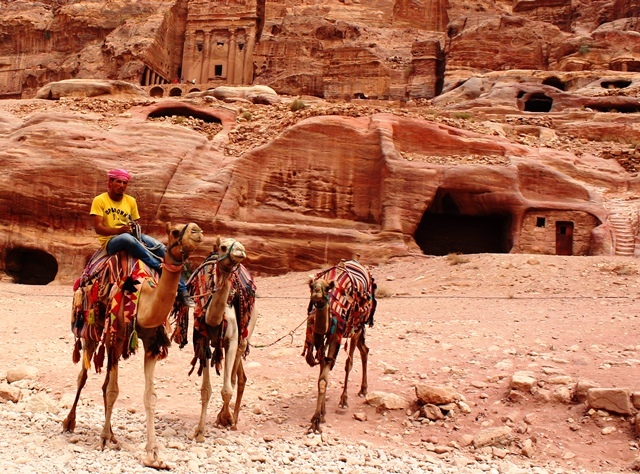 Most visitors had left and the Bedouin camel riders were wending their way back home, past intricately carved Nabatean tombs and deep caves. A Victorian writer, John Burgon, won the Newdigate Prize in 1845 for his poem Petra. Though he’d never actually visited the city, he’d heard about it in the news. Its ‘modern discovery’ by Swiss traveller Johann Ludwig Burckhardt in 1812, had created huge interest in this marvellous site. Here’s an extract from the poem. The final line of this sonnet has become the most popular quote on Petra, and at sunset it is easy to see why, though it seems more pink than red in this light … What do you think? 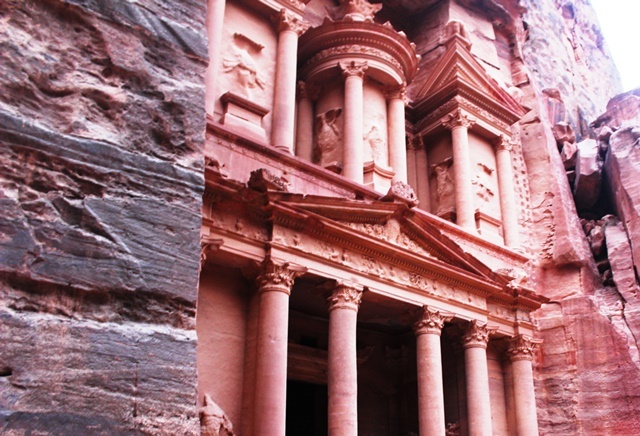 Join me on a quick guided tour of Petra to get an idea of just how lovely this magical city really is. 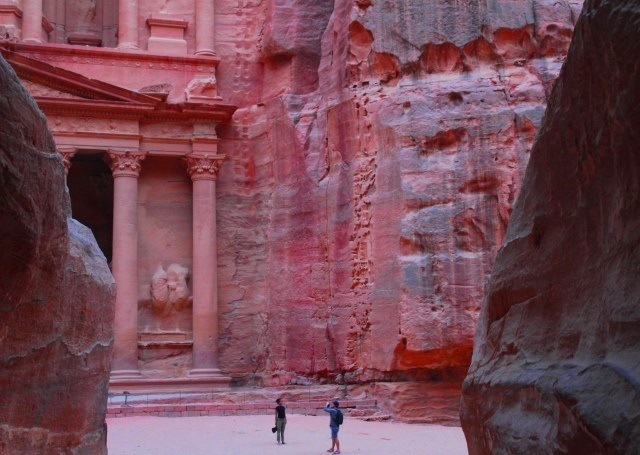 A wonderful reminder of how incredible Petra is. I loved walking through The Sic just as much as seeing the Treasury for the first time. One of my all time favourite experiences. 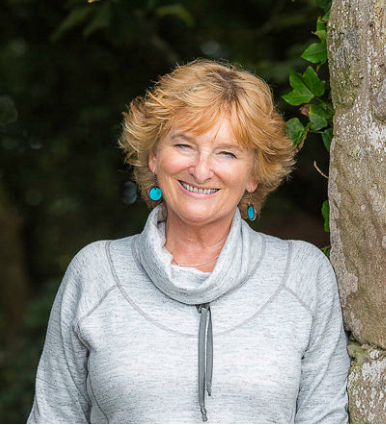 You really do inspire us to travel more widely. It is such a pleasure to read about these far away countries and I love the literary references. Keep up the good work! Thanks very much Carol 🙂 It is easy to be eloquent when faced with such impressive sights. Delighted to share it with you.